"Ever wish your favorite ski magazine would give you more? Well, you silly Joey, now it will. Watch Skiing Magazine’s pages come to life with the new Skiing AR app. 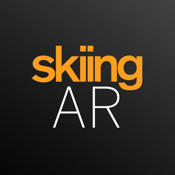 Grab your smartphone or tablet and scan the pages of Skiing Magazine with the Skiing AR app and see exclusive bonus content, like animations and videos, spring right off the pages. •Bring your favorite athletes, places, and stories to virtual life, simply by pointing your device at them. •Double tap the screen to enter full screen mode, single tap the screen to find out more. 2)Open and point your device at one of the enabled pages in Skiing’s latest issue. 3)Watch as the image comes to virtual life. 4)Tap the screen to find out more. **Double tap at any time to enter full screen mode."